All distribution maps are updated in Version 8.2018. 5. Spassky (1937) described a mygalomorphic spider species from the Caucaus. 10. Some taxonomic changes, e.g. in the families Salticidae (e.g. genera Sittiflor, Sittipub etc.) and in Thomisidae (genus Bassaniana). Dieser Beitrag wurde unter Uncategorized abgelegt am August 14, 2018 von Stefan. There is a new link page in Publications>Links. 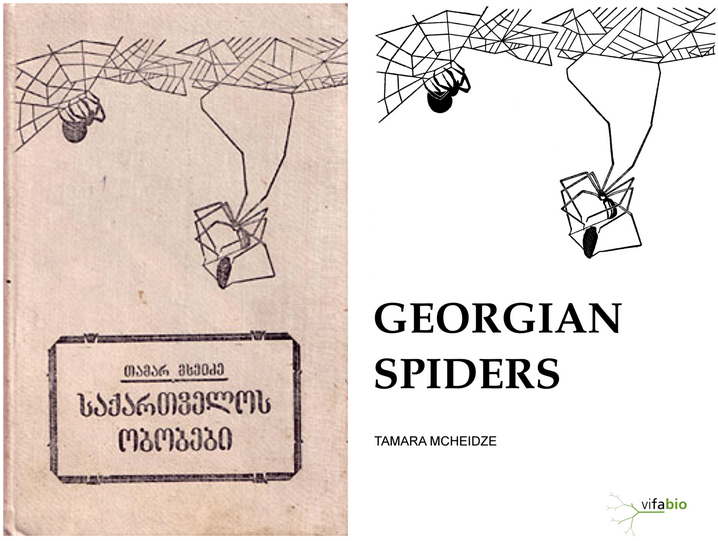 Did I miss any relevant pages or projects on Caucasian spiders, insects and other biodiversity? Any study groups working on Caucasian invertebrates? Let me know! Dieser Beitrag wurde unter Uncategorized abgelegt am Juni 4, 2018 von Stefan. The records of some more publications are now in the database, raising the total number of original records in the database to 12119. Now, 1110 species are in the Checklist Caucasus and 27 species are in the newly introduced Blacklist Caucasus (details see below). You can find a link to the dump of the SQL database on the FAQ page. 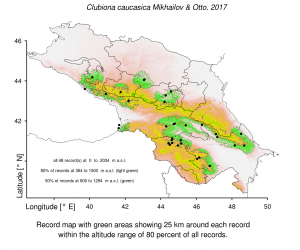 The Checklist Caucasus now contains only valid species with undoubtful records. 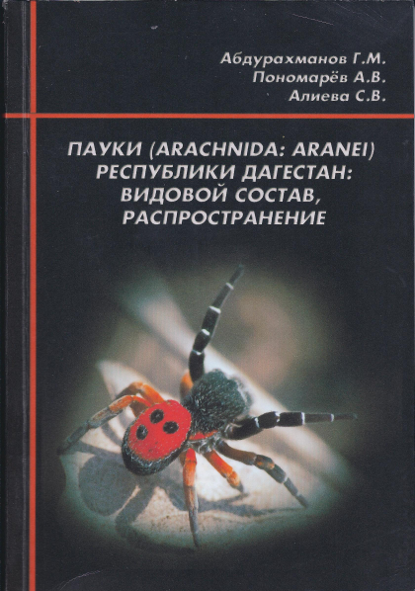 Therefore, it is called: Critical and Commented Checklist of Spiders (Araneae) in the Caucasus Ecoregion (link). 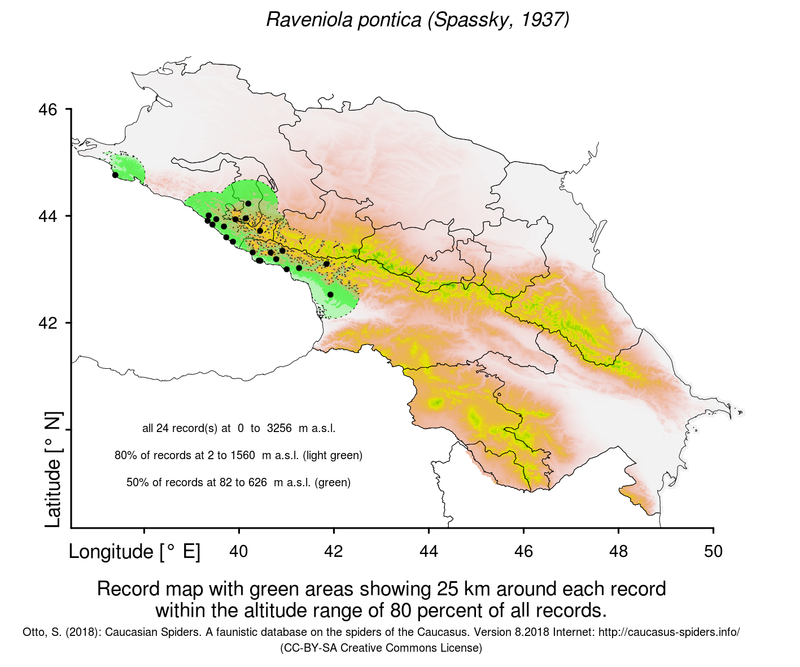 In order to maximize availability of data and to facilitate accessibility to all – even doubtful or false records existing in the literature – a Blacklist Caucasus (link) is introduced and situated below the actual checklist – listing those species, which due to doubtful records in the Caucasus or invalid taxonomic status should not be part of the checklist sensu stricto. This blacklist can, however, be of interest to taxonomists when in search of literature sources concerning such questionable species or misidentifications. Furthermore, all entries on the the publications page now have links to BibTeX citations (I am still working on PDF uploads) and all locations have been checked for double entries. Dieser Beitrag wurde unter Uncategorized abgelegt am August 16, 2014 von Stefan.